Agoda has appointed Chorev (pictured below), previously VP of marketing at Agoda, as CMO. 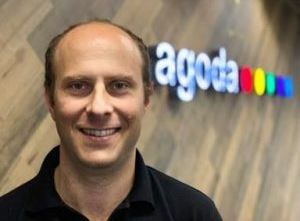 He will now oversee all of Agoda’s global marketing functions as part of his expanded portfolio, including performance marketing, CRM, pricing and loyalty, brand marketing and consumer public relations. Agoda CEO & President John Brown said: “Ittai’s appointment as CMO reinforces our commitment to innovating the way people travel and using technology to enhance the overall customer experience. Prior to his role at Agoda, Chorev was the co-founder of Qlika, a startup specializing in online marketing optimization, which was acquired by Booking Holdings Inc. in 2014. He subsequently joined Agoda and held several roles leading teams including data science and PPC. Chorev said: “At Agoda, we have been hugely successful in how we have used technology to optimize our marketing offer and drive real business results.